Product #60774 | SKU 41030 | 0.0 (no ratings yet) Thanks for your rating! 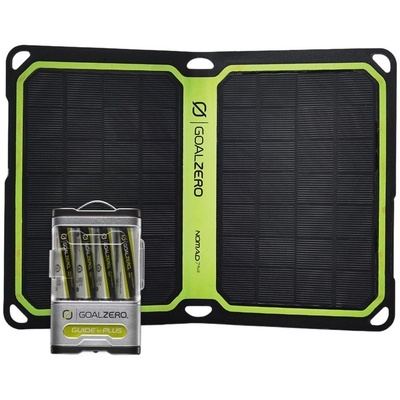 The Goal Zero Guide 10 Plus Solar Kit (with Nomad 7+) connects to the Guide 10 Plus to charge AAs from the sun. The rechargeable battery pack can also be used to power your phone, wearables, GPS, or boost your tablet in a pinch.